Green and Well: Calamansi Juice Instaboost! Known to the Western world as Asia's golden lime, calamansi, calamandarin or calamondin possesses medicinal value, which makes it an effective antidote for a variety of health problems. For this post, let us focus on the benefits of drinking calamansi juice, a refreshing drink that is famous in the Philippines. Prevention & Cure for Cough, Colds and Other Infections. Daily consumption of calamansi juice gives a boost to the body's immune system since it is rich in Vitamin C. It is best consumed as a hot tea, mixed with natural honey, for treatment and relief from cough and colds. Natural Laxative. Calamansi juice is also said to help improve digestion, as well as address constipation. Heart Care. Aside from being a rich source of Vitamin C, calamansi also has high potassium content, which makes helps in the treatment of heart ailments. 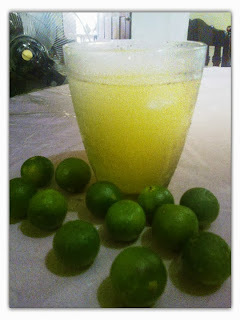 So make drinking calamansi juice a part of your daily health and skin care regimen!